It looks like Airbnb, the online marketplace for listing and booking short-term housing accommodations, has officially accelerated out of startup mode and into a full-on big business. The San Francisco-based company will announce today that it has reached a major milestone: 10 million guest nights have been booked worldwide through the site since it was founded in August 2008. 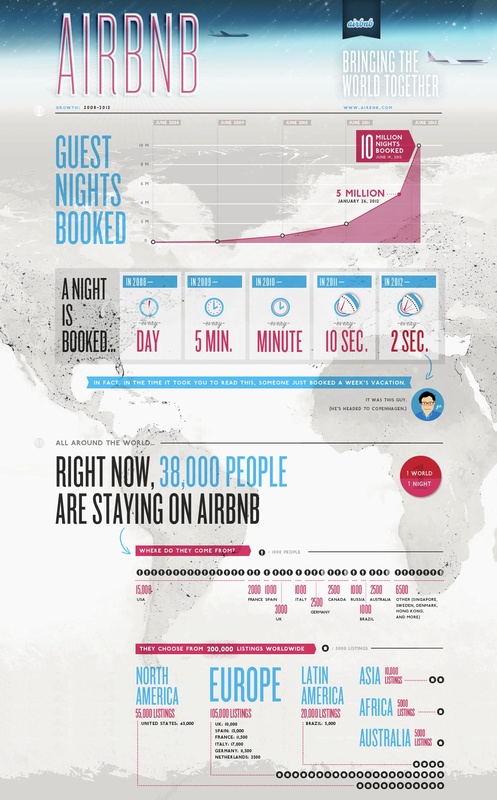 That number in itself is very impressive, but the trajectory with which it reach it is even more notable — at this time last year, Airbnb had yet to reach 2 million nights booked. Its nights booked have doubled in the past five months, the company says, and today, a new night of travel is booked on Airbnb every two seconds. In graph form, it looks like Airbnb is hitting the coveted point of “hockey stick” growth acceleration that business people rave about. International has been a major part of the boom. The U.S. market now makes up less than half — 4.4 million — of Airbnb’s total nights booked historically. The site now has 200,000 active and bookable property listings, 95,000 of which are in Europe alone. Currently, Airbnb says, it is active in more than 19,000 cities and 192 countries. The worldwide push is no big surprise. Airbnb has used M&A to build out its international presence through acquisitions like its buy of the UK-based Crashpadder earlier this spring and its buy of the Germany-based Acceolo last summer. Of course, Airbnb hasn’t done it all alone: The company has seen some $120 million in venture capital investment come into the business. But it’s clear that it has the customers to back up the investor dollars — and it’s only begun its operations in places like South America and Asia. It’ll be interesting to see how much more growth it undergoes in the days ahead.